Only at Exhibition XL IPhone 4 di Main Atrium, East Mall Level 1 - Grand Indonesia Shopping Town Jakarta 26 April - 1 Mei 2011. 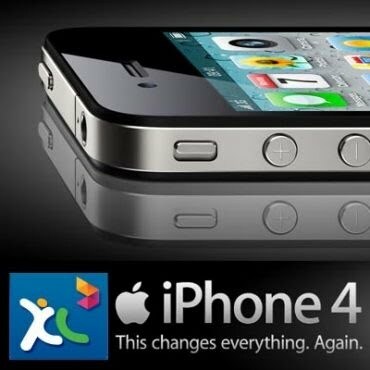 XL will launch their packet for iphone 4.
only for idr 999.000 you can have iphone 4. Finally, Telkomsel, XL became the official local operator iphone 4 in Indonesia. Apple phone will be available from 22 April and released in various package options that you can select as you needed. For more details, see the official website.